Fusing elements of extreme metal with crushing heaviness, CHOSEN is a band fully intent on taking their multi-layered music to a wider audience. Drawing influence from distinctive groups such as Death, Meshuggah, Gojira, Cynic, and Nevermore, the band has set a new precedent in what modern day metal can sound like, with the timely release of their debut album, Resolution, via the world wide web. Recorded at the prestigious Westland Studios with producer extraordinaire Alwyn Walker at the helm, Resolution is a reflection of sheer perseverance and innovation, brimming with top-notch musicianship, well-crafted arrangements and inventive hooks. Merged with a rich audio production value, void of the sterile, homogeneous and plastic instrumentation factor which currently dominates the commercial metal market, this debut album from one of Irelands noteworthy metal bands is a truly refreshing piece of work. There's not a dud track on Resolution; capable of conserving the epic temper fulfilled by soothing harmonies, Chosen muster a balance of musical efficiency with the brutal histrionics of Death and Gojira. 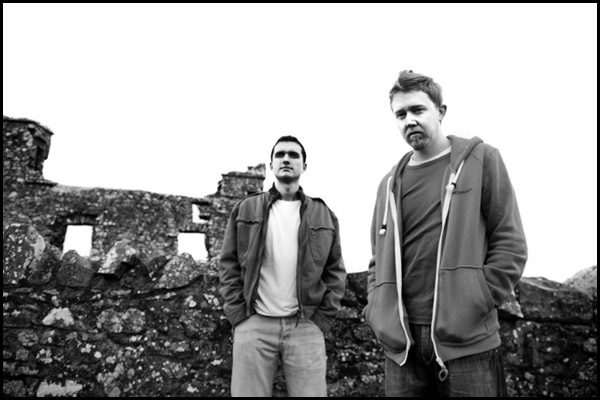 Since the groups formal inception at the start of 2005, CHOSEN has always been driven by its two founding members Paul Shields (vocals/guitars) and David McCann (drums/percussion). Both were young teenagers when they first started playing music together and after a series of mini-projects and explorations they decided to seek out other serious musicians for a whole new venture. What followed over the course of the next few years evolved into the major project that is CHOSEN which saw the band release a number of independent and well-received demos, gig regularly around their native Ireland, as well as go through some line-up changes. Ultimately, the journey would lead them half way across the world to Vancouver, Canada where the band relocated to in 2008. Resolution is an industrious and energetic album, pulsating with the diverse facets of the bands distinguishable influences. Chosens songwriting skills have crafted an album that will be instantly accessible to a wide circle of metal fans yet still retain a magnetic allure due to the intensity of its heavier songs. This is a weighty addition to bulk up any extreme metal collection. The opportunity to advance the bands international profile and experience a new way of life in another part of the world proved too great a reason to stay in Ireland at the time. Packing their entire lives into a couple of suitcases each and shipping two large boxes of musical equipment overseas, the band jetted off to the west coast of Canada and settled down in Vancouver, their new stomping ground. After a fruitful year spent abroad with a new line-up, and culminating in a successful Canada-wide tour, as well as a very unique tribute gig to the late Chuck Schuldiner, the group returned to Ireland during the summer of 2009 to record their debut album. However, upon arriving back home, Shields and McCann found themselves without a stable line-up as the rest of the band suddenly quit, citing personal circumstances as their reasons for leaving. Slimmed down to a two-piece rather abruptly and at the worst possible time, the project naturally came to a halt and both members decided to take some time off having been away from home for the last year. What at first appears to be an ending is often just a new beginning. This simple yet expressive sentiment sums up what ultimately brought CHOSEN back from their shallow grave. For this particular musical partnership, reforming the band and completing what they started was the only way either could move on. Ready and willing to re-invent themselves, CHOSEN emerged from the depths and began the recording process of their long-awaited debut album. Entering Komodo Studios in Northern Ireland to begin with, the trio of Shields, McCann and producer Alwyn Walker laid down the foundations of Resolution while at the same time, keeping an ear out for musicians with whom to complete the record. Shields reflects on the search for new members: With the drums and most of the guitars complete, we used a rough mix of the unfinished album as a recruitment tool, and headhunted musicians whom we knew of already through our own network of friends and other bands in the Irish music scene. We eventually found some musicians that were willing to lend their talent to the project but, sadly, it didnt last and we were reduced to a two-piece for a second time. The range of influences on offer is breath-taking. You can hear classic prog/death elements of bands like Atheist, Death and Opeth as well as the crushing intensity of Meshuggah throughout the entire nine tracks on offer. And most importantly the two lads have the chops to match the quality and musicianship of the aforementioned legendary groups. McCann adds: It was then we decided to finish the album ourselves, with Paul undertaking the vocal and bass duties. Not everyone knows this but when Paul and I first started playing music together he was a vocalist/guitarist. However, prior to the formation of CHOSEN he wanted to focus more on guitar playing and opted to let someone else take on the role of vocalist. In hindsight, having him take up the microphone is, perhaps, something we should have done a long time ago, given our long-term experience of being unable to find the right combination of members. In a way, it was inevitable. Then again, weve certainly no major regrets over having worked with various musicians in the past, as without their efforts we probably would never have gotten to where we are today. The year of 2012 finally saw the group reunited with producer Alwyn Walker this time at Westland Studios in Dublin, where they would complete the record. Having spent months of creativity and great toil on the songs, the bass and vocals were finally laid down with a sense of closure and finality to what had been a very long process. From that point on, the album was instantly transformed from the inconclusive piece of work it once was into a tightly woven combination of authentic songs. Chosen are an Irish two piece of huge technical ability, whose individual sound invokes memories of latter day Death, Atheist and perhaps the dark, swirling intensity of Nevermore. The band are capable of creating moments of sheer class and pretty much every track here is in possession of such. The crisp, incisive sound allows for full appreciation of the intricate riffing and you can't help but be impressed by the sheer quality on display. Lyrically speaking, McCann admits there were a few different concepts behind the tracks: We tried to write about a number of social issues and other topics that were on our minds but without being overly preachy, the drummer reveals. While we didnt have too strict a conceptual direction, we did focus on various aspects of contemporary life. Some of the subject matters include the rising tide of narcissism, superstitious thinking, mental health, evolution and instinctual behaviour, self-deception, as well as some psychological theories such as group conformity and impact bias. Shields weighs in: This record is more than just a record for us but also a reminder of the sheer power that music can have as an art form. It represents everything we worked hard on, obsessed over, and allowed to consume each of us as the compositions filled our heads day after day. Our greater vision was somehow manifested in this album and its symbolic of just why we love writing and performing music. Its also something that might, hopefully, still be around long after we are dead and gone. After all, the writing of memorable music is about as close as one can get to achieving some form of immortality. Whether we pass into musical obscurity or achieve modest success is anyones wild guess. But either way, we are proud of what we have accomplished and hope that others can appreciate what we have worked on for so very long. Resolution, the debut album from CHOSEN was produced by Alwyn Walker and is available directly from the bands website.